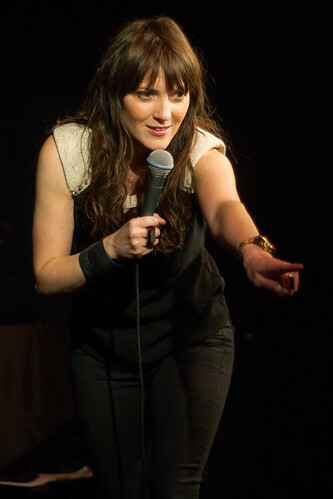 Toronto is the latest stop on Jen Kirkman’s book tour, promoting I Can Barely Take Care of Myself (you can read Third Beat’s review of that here). 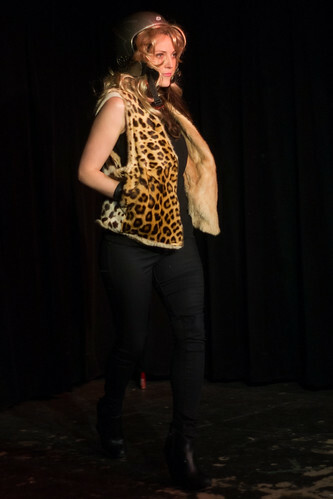 Kirkman made a….stylish? entrance to the Comedy Bar stage after raiding the backstage prop and costume stash. 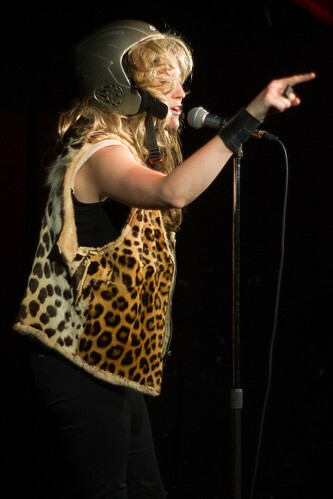 Fur vest, blonde wig, and helmet – perfect for her over-the-top runway walk. 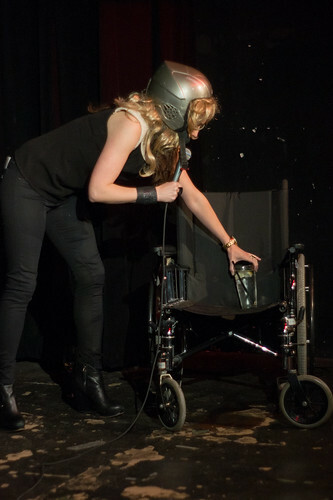 Things got weirder when she remedied the mysterious lack of on-stage stool by bringing out a wheelchair from backstage, precariously setting her drinks on the seat. 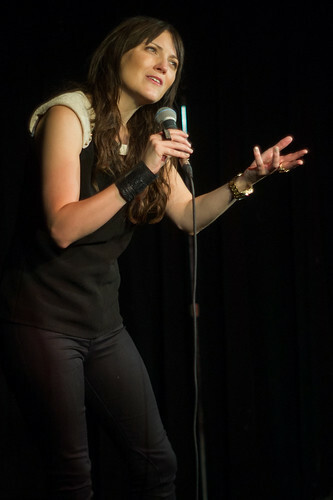 It was an unexpected start to fun and relaxed show, which include some interaction with couples in the audience, and a woman in the front row who inexplicably chose to air out her Converse by putting them on the stage. The first half was full of travel tales, including Kirkman’s own experience with a dim-witted Canadian Border Services agent earlier in the day (they do make us proud). 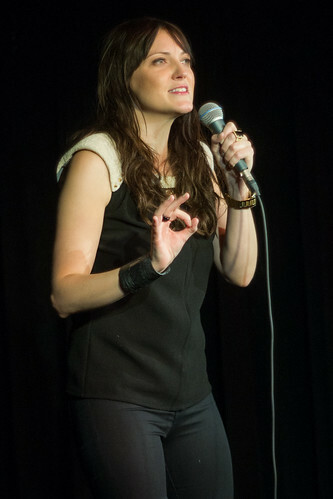 She talked about her experience of being married and getting divorced – still not final after two years, she says – only briefly touching on the childfree theme of her book. Easily losing track of time, Kirkman went well over her hour, but still elicited a few whines of “aww!” from the audience when she announced her closer. 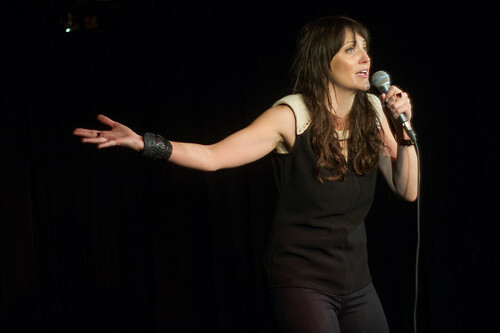 Jen Kirkman performs two more shows Saturday night at Comedy Bar. All photos copyright Sharilyn Johnson. May not be used without permission.